Mills and Boon is celebrating over 100 years of its iconic books and of course that includes their covers. 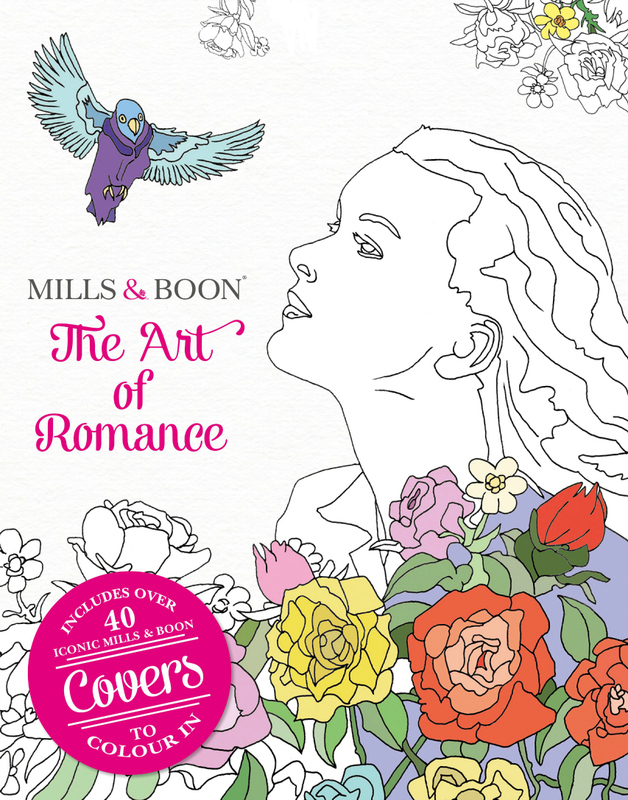 In celebration they have released an adult colouring book ‘The Art of Romance’ which I have been lucky enough to receive last week to review. 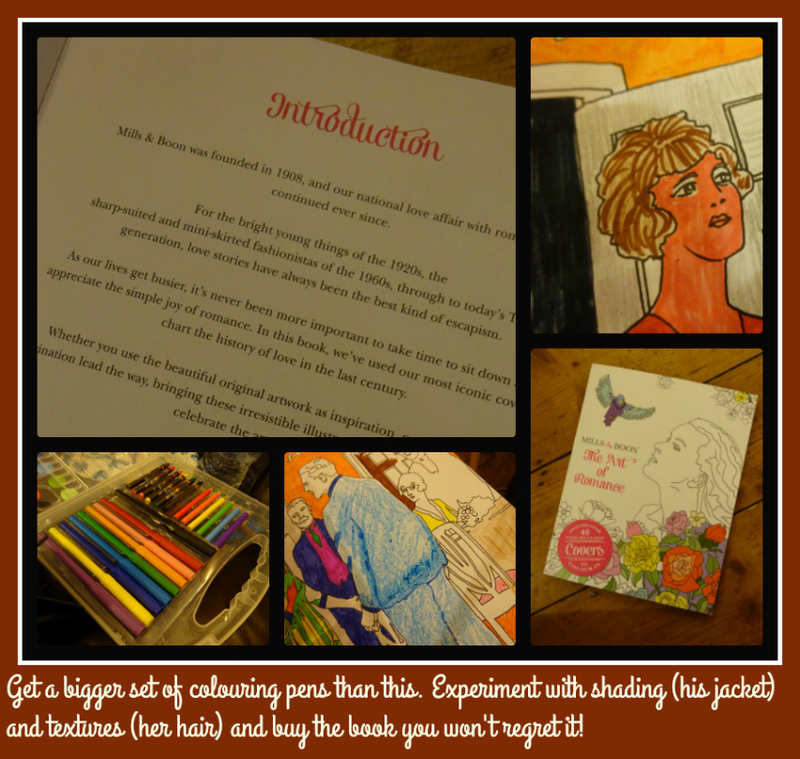 I couldn't help but notice that the book will be officially released on 5th May 2016 which is my Mum's birthday so after completing the below page - rather brightly - to start her off I have actually today posted the colouring book to my Mum. Why?!?!? Well because it was through her copies of Mills and Boon that I got introduced to the iconic books. Those and Jackie Collins. Two, because my Mum no longer works after decades of being a career woman with long hours and a long commute. She retired to Ireland in my final year of University and one of her main vices now, other than the fags, is reading. She reads a couple of books a week and is a regular at her local library. I wanted to find her a new hobby to have alongside her reading and this opportunity fell into my lap. I hope she takes to it. Oh and that brings me onto a 3rd reason to send it to her. It was she, my Mum who taught ME to colour in when I was little, so it's now come full circle, such is the circle of life and now I am giving her a nudge. Just posting the book and a birthday card cost me £6.60 so I didn't put in a pack of felt tip pens but she will need them. As you can see from the covers on the right and the example on the left, below (printed in the back of the colouring book) the colours are quite muted which is why I thought it would be fun to do my bright version. I can't wait to see which angle my Mum goes for - bright or muted. 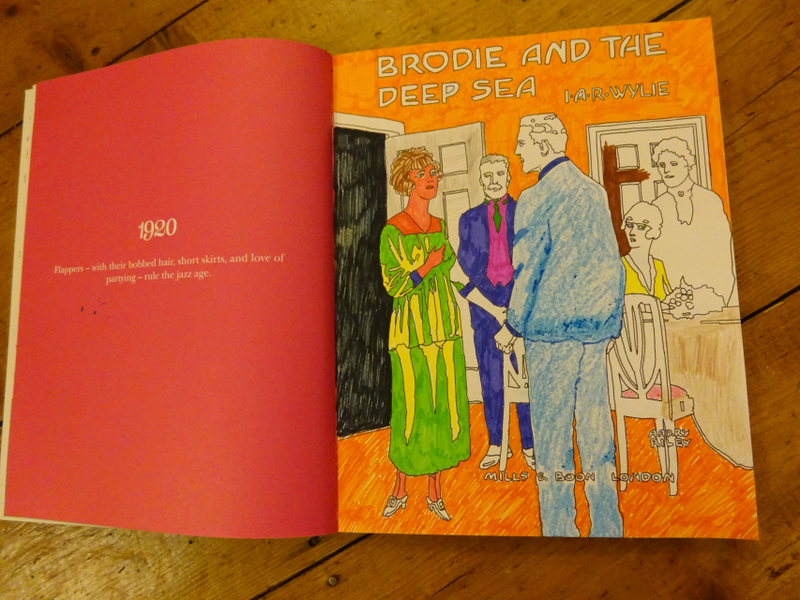 She can't draw for toffee (my Auntie Berniece taught me that) but *is* very good with colours and home interiors, so I think this book will put her in touch with her creative side, which is so important for us to foster as humans. I remember my Mum's colouring in being fabulous when I was little. I hope this book gets her a bit nostalgic. I hope she thinks it's a touching present. My Mum was born in the Marian year and her name is unusually spelled Marion. Plus the book will get there by airmail and I always fly there via Ryanair! 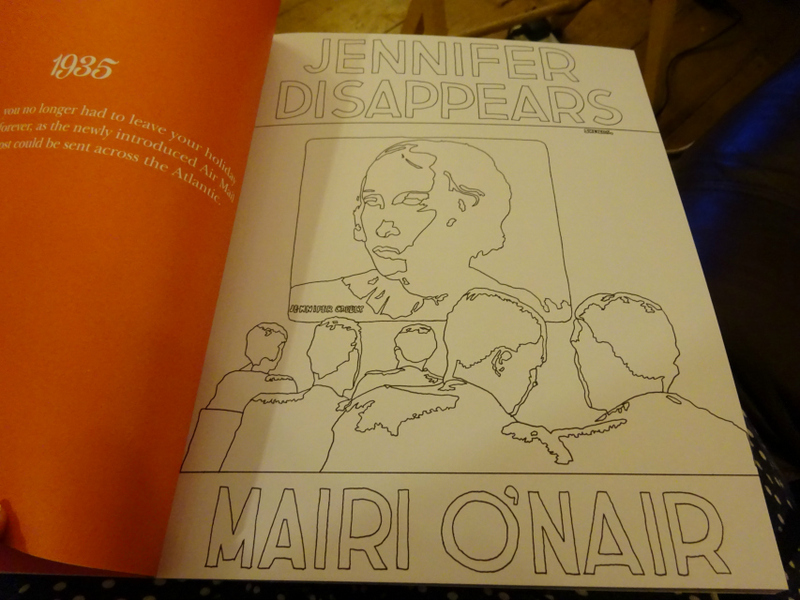 Yes, she will most certainly LOVE this colouring in book. Being in the West of Ireland in the countryside she may not know about the recent trend for adult colouring in but I will bring her up to speed. She LOVES knowing something is trendy. Over the course of more than 100 years Mills and Boon has documented the history of romance, evolution of fashion and social change from the 1900s to the present day. The book: The Art of Romance features 47 cover illustrations to colour in, alongside year-by- year facts, quotes and memories to give social history and context. The Art of Romance celebrates over 100 years of the publisher’s most iconic covers, taking the reader back to key moments in history from the austere war years, the birth of a royal baby, the swinging sixties and even the rise of the rom-com in the noughties. Perfect for fans of art, fashion and vintage culture, The Art of Romance charts the history of romance in the 20th Century, featuring quotes, facts and snippets of information about what was happening in the world when each story and associated cover were created. Disclosure: I received a complimentary copy for this review and will have a further one available for a giveaway. The giveaway will be added to this post tomorrow as we draw closer to the excitement of the book being released! I used to read Mills and Boon as a teenager and hide the book in my bedside drawer. It was pure escapism then but not very PC regarding women. I wonder what I'd feel about one now. I hope your mum loves her gift, I'm sure she will. I remember my mum used to like painting by numbers so I'm sure she'd be thrilled with the current trend of adult colouring books if she was still here. Thankfully I have my books an pencils to keep me happy and my fingers working. There's something very art nouveau about those images you have coloured. They are really lovely and you have done a good job! It really sounds fun - and a great gift for your mum (happy birthday to her!). 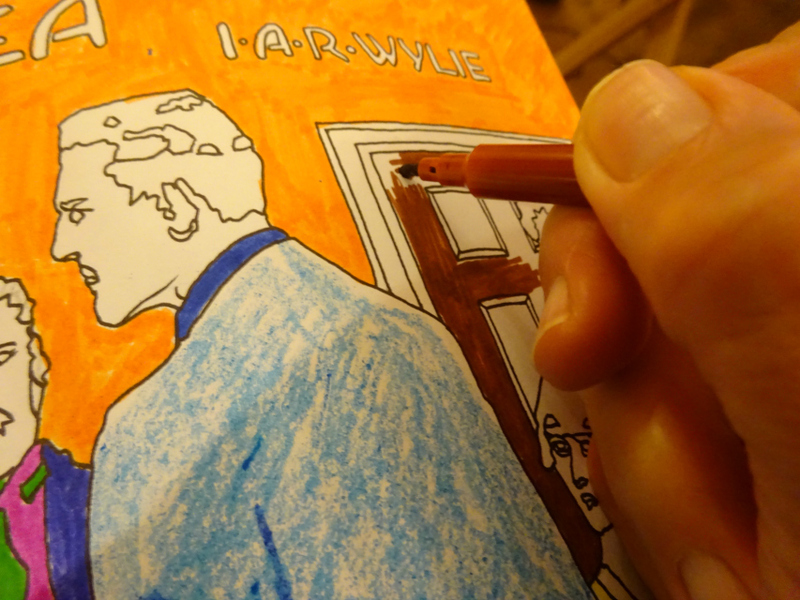 I'm also super-impressed by your own colouring. Far better than mine would be! 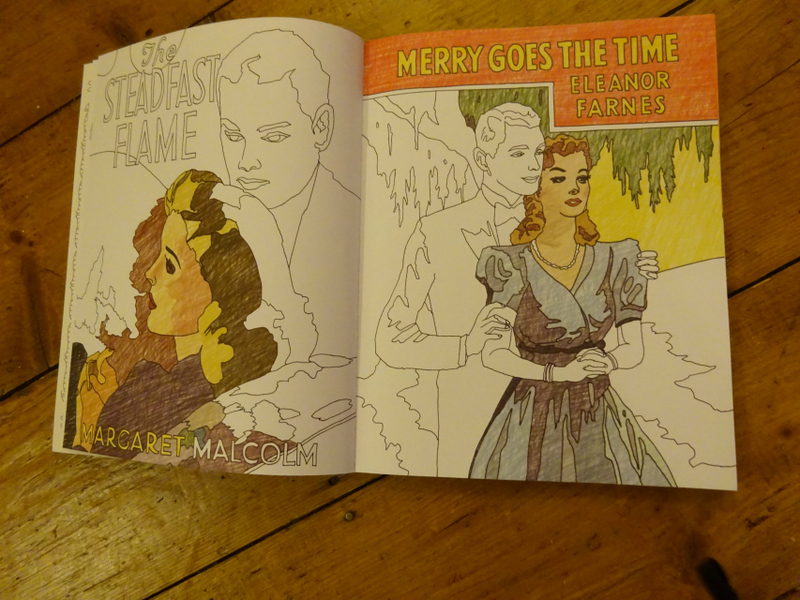 I adore adult colouring and thing that this is a fab idea for older people. 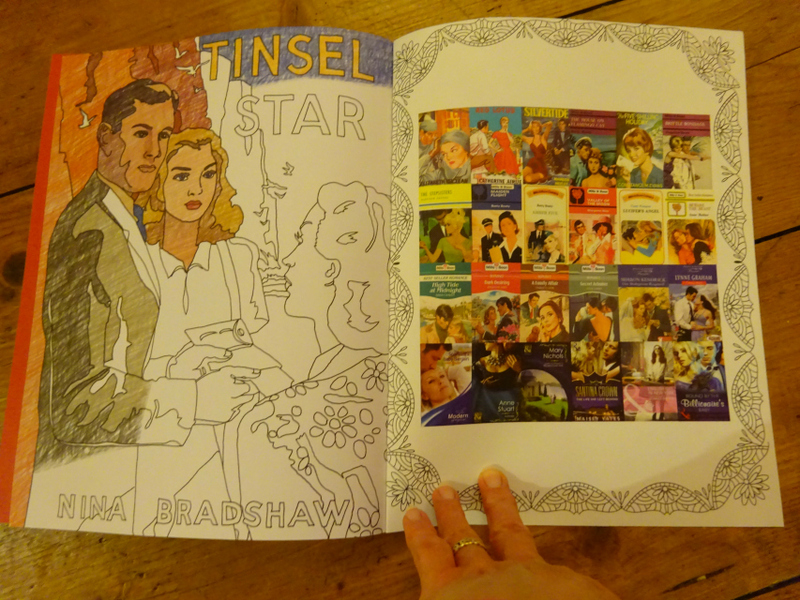 I am not really a fan of romance novels, but have to say I do love their vintage covers - and what a fab colouring book! I love all the variety of colouring for adults that are around now! I would love to spend some time just relaxing with some colouring!